Mira Eco Three Spray Shower Head at PlumbNation is from the Mira Eco Water Saving Range of Mira Showerheads from Mira. 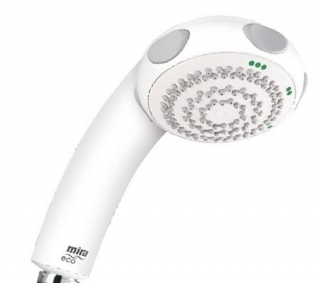 Mira Eco Shower Head is specially designed to save Water. The Mira Eco showerhead saves up to 75% water and yet still delivers a great performance. The Mira Eco Shower Head from Mira Showers are a greener way to get cleaner.